The largest country on earth is Russia in terms of surface area with the total area 17,125,200 square kilometres that is about 1,8 times the size of the USA - emerged from a decade of post-Soviet economic and political turmoil to seek to reassert itself as a world power. It’s situated in the Eastern part of Europe and Northern part of Asia covering more than one-eighth of the Earth's inhabited land area,The European western part of the country is much more populated and urbanised than the eastern; about 77% of the population live in European Russia. Income from vast natural resources, above all oil and gas, helped Russia overcome the economic collapse of 1998, but the oil price slump of 2014 ended the long run of prosperity. The state-run gas monopoly Gazprom still supplies a large share of Europe's needs. Vladimir Putin - Russia's dominant political figure since 2000 - has enhanced his control over state institutions and the media - a process supplemented more recently by an emphasis on fierce nationalism and hostility to the West. Why Study in Russia ? Russia is a land of art and culture and has historically been a popular choice to Study Mbbs in Russia for students of india, its a colourful and majestic place in the world. The most pleasing destination for most of the people to visit is St. Petersburg. Nearly thousands of Indian students every year go to russia to study medical in Russia in about 20 universities spread over the country. 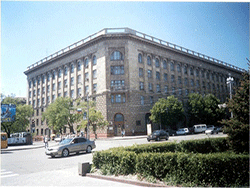 All the Russian medical institutions listed under the WHO list are recognised by the Medical Council of India (MCI). To study in Russia the best option is that most of the Russian Universities are listed in the top medical universities in the world in the field of Medicine. Study MBBS in Russia is being one of the cheapest options available, students of india prefer it as their favourite destination for MBBS. For the study in MBBS from Russia is reckon as one of the most advanced in the world for education and uses the latest & up-to-date techniques of teaching. Russia Colleges focuses on all-round evolution of students knowledge & ambient development of the student in his/her chosen zone of specialisation. To Study MBBS in Russia is among the best in the world with the student’s performance & stride measured against several parameters. The student can be assured that he will be a successful doctor upon his return to India provided he/she will works hard and gives their 110% of efforts. 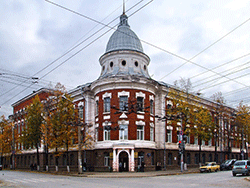 Studying MBBS in Russia is easy, inexpensive and resilient. Study MBBS in Russia also about the only way most travelers can afford to impone in the cultural life of Russia’s capitals: St. Petersburg and Moscow. The student discount for the world-famous Kirov or Bolshoi ballets can be as much as a week’s tuition. The age of the candidate should not be more than 27 years as on 1st of September of the year in which the candidate is taking admission. The candidate must have obtained an aggregate of at least 50% aggregate marks in the Physics, Chemistry and Biology in class 12. As per the requirement of the Medical Council of India (MCI), for MBBS in abroad, all reserved category students (SC/ST & OBC) having an aggregate of 40% aggregate marks in the same subjects as mentioned above can also apply. ► The College of Russia's academic year or academic Session starts in September and follows the semester and continues till January, just like that followed in Indian Colleges.The month of January & June make the odd and even semester examination respectively. Admission in Russian Colleges for MBBS Closes in August, the most of the top colleges nd also the colleges where the fees is low, seats gets filled up by the mid of June. We always councel students to get admission in russia's top Colleges as soon as possible if you want a low package college as these seats gets fill up first. 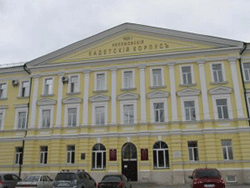 The academic session for Russian medical universities starts in September. The admission process takes up to 1.5 months depending on the availability of passport with the student. 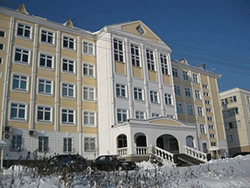 For Direct Admission in Russian Universities please Call on 7258044122. ► Overseas Medical Study.com will provide complete assistance to every student who wished to study MBBS in Russia including guidance, admission assistance, Visa processing process and every other formality required to be completed to secure admission for MBBS in Russia .